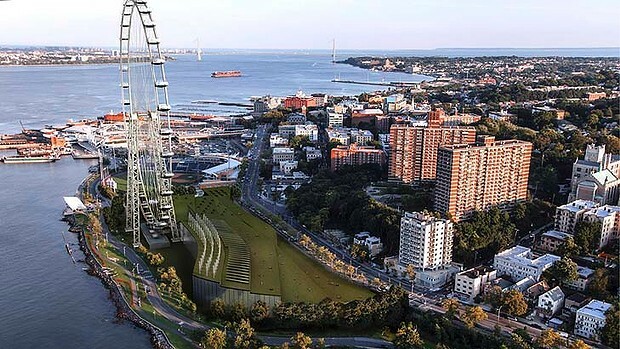 A plan to build the world's tallest Ferris wheel on New York's Staten Island, offering sweeping views of the Manhattan skyline, could hold the answer to a long-elusive goal: putting the most-overlooked of the city's five boroughs on the tourist map. 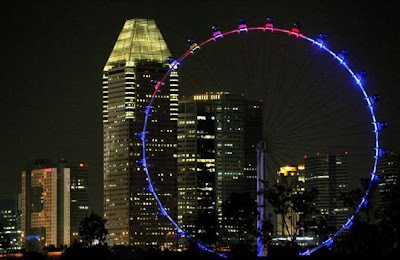 The giant Ferris wheel, at 190.5 metres, will be about half the height of the Empire State Building and taller than Singapore's 165-metre Flyer and the planned "High Roller" wheel in Las Vegas, the city said. Similar to the London Eye, visitors will ride in thirty-six capsules, each capable of carrying up to 40 passengers - or 1440 people per ride. The city estimates the observation wheel - which will stay open every day of the year except during severe weather - will attract 30,000 riders a day during the peak season and 4.5 million visitors per year. To be constructed at a cost of an estimated $US230 million, it is expected to open in 2015. 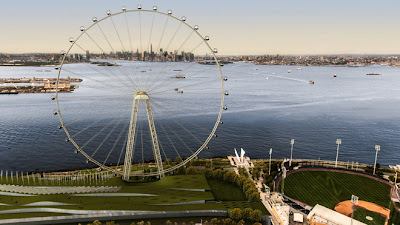 The wheel will stand near the Richmond County Bank Ballpark and the Staten Island Ferry terminal, the base of a free water taxi that travels across New York Harbor between the skyscrapers of lower Manhattan and Staten Island. The wheel will anchor a retail complex with 100 designer outlet stores, theater space, a hotel, restaurants and cafes. "It will offer unparalleled and breathtaking views, and is sure to become one of the premier attractions in New York City and the latest exciting addition to our newly revitalized waterfront," New York Mayor Michael Bloomberg said in a statement. The project, developed by New York Wheel and BFC Partners, is part of Bloomberg's larger effort to develop the city's extensive waterfront with parks and recreational projects and make the city more tourist-friendly. It will create 1200 construction jobs and 1100 permanent jobs, and pump $500 million in private investment into the borough's waterfront, according to city estimates. Staten Island Borough President James Molinaro said in a statement the project would be a "game changer for the borough, which is perhaps best known for hosting the Fresh Kills landfill - once the city's principal dump and later a sorting ground for rubble from the September 11, 2001, World Trade Center attacks. As Molinaro told the local Staten Island Advance newspaper: "We've gone from having the world's biggest dump to having the world's biggest wheel." The London Eye is 135 metres tall. 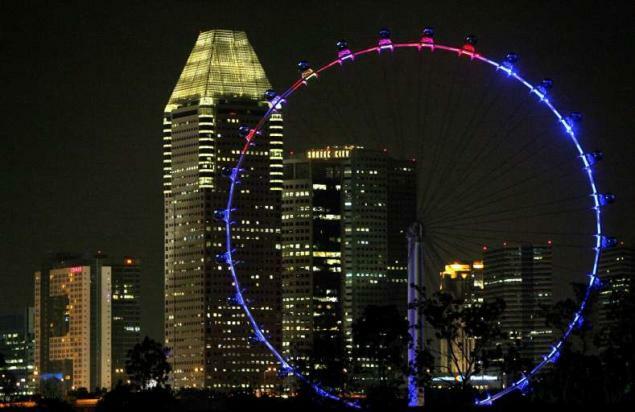 The Vegas "High Roller" is planned to be 168 metres high.